VP of Product Fred Kessler talks us through the latest developments on the product front here at FunFair Technologies. Being my first blog on the current product and future of the FunFair roadmap, I’ll be keeping this as a general overview but I look forward to going into more detail over time on specific areas. My hope is that it will bring some clarity on what we are currently working on, what we have planned and why we are doing certain things. But, before I go into further detail, I feel it’s important to reiterate FunFair’s core vision and the particular environment we are in. We set out to “build a decentralised gambling platform” using blockchain technology where players would enjoy a number of advantages over current gaming platforms – through offering trustless, provably fair games and instant payouts. This means that we’re uniquely positioned at the intersection of blockchain and gaming, and that comes with several challenges that we aim to tackle and resolve. These range from increasing the speed of play (scaling) to responsible gambling and anti-money laundering directives and others related to the use of cryptocurrencies as betting tokens. Blockchain applied to gambling is a positively disruptive technology and that means that what the market and the end user expects and demands are not predefined. As part of our journey to learn more about these demands, Casinofair.com was launched, representing how casino games can be played leveraging the blockchain at speeds similar to traditional platforms. As part of being a first to market product and first generation platform, some decisions we made were based on assumptions (along with data acquired from our extensive beta process) around what we believed the platform required, with the intention to learn and iterate based on the feedback from players and the data gathered. To be clear, at launch, the platform was still very much in its infancy, and far from a final product. Clearly, our onboarding – a new player’s experience from signup to funding their wallet and playing a game – was going to be a challenge. Using several third-party products gave us the advantage of being faster to market, as we did not have to develop those features with our own resource. 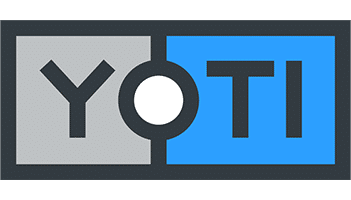 However, these steps have added some friction at several levels during the onboarding process, with the necessity for players to use Metamask and Yoti, which require the installation of a browser extension and/or mobile app. The data we see now clearly shows this is a barrier to entry for many potential players while simultaneously reducing the reach of the platform due to the limited support of a few web browsers and devices. We have also found that easy access to FUN tokens is another blocker, with many potential players not owning any tokens prior to visiting the site. With the process of obtaining funds being far from straightforward, especially when players need to fund their wallet with both ETH and FUN, improving this area is clearly a priority. Incremental but essential improvements to these issues across the platform remain the focus as part of an ambitious road ahead. How are we tackling these challenges? Our method is based on learning fast, releasing small features that combine to bring value to our platform, our operator partners and their players, and learning from the data and feedback we receive. We have implemented some improvements in the last couple of weeks including the integration of the Airswap widget, with the objective of simplifying access to tokens. Players can now bring just ETH into any FunFair-powered casino and swap it for FUN using Airswap once they have registered. We are also putting into effect many tweaks to our registration process and working with regulators to understand how we can still comply with KYC and AML, while at the same time reducing the number of steps our users take when registering. We are actively talking with many providers in this space to understand other options and simplify the process further. Also ongoing is a review of the registration experience to simplify it and make it clearer for players. Many of our visitors use smaller screens and we are adjusting the layout of our site accordingly to cater for all of our players, making sure that the important content is always visible and that access to customer support is always available. For the reasons mentioned above, we are currently only operable on certain desktop browsers. Clearly, in a mobile-led world, this is an area to be addressed and we are working on several solutions to allow players access to blockchain gaming on the go. We are already testing integration with a number of native wallets and exploring other improvements needed on-site to support mobile. 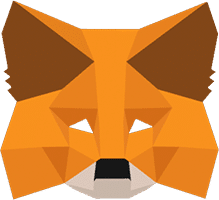 To this end, Metamask is unlikely to be the ultimate solution for our omni-channel objectives, particularly as 60% of players have dropped off at this part of the funnel. We’ll communicate further details later on about what our strategy will look like instead, and I know we’ll be talking in more detail about wallets specifically in a later blog. Our catalogue of slot and casino titles is currently the largest within the industry (of games that currently are run on the blockchain and that are provably fair). But we want more players to experience them after registration without having to address the issue of access to FUN or ETH. As things stand, sign-up bonus airdrops are issued manually but we’re working towards the automatic, instant crediting of rewards. We want our players to finish registration and have some free FUN and ETH in their wallets immediately – no deposit or other conditions attached – enabling them to play our games and see for themselves why CasinoFair games are worth the effort of funding their wallet. This feature is in development and will provide the foundation for a full, automated CRM system which can offer a world of rewards and incentives for our players, and obviously an important tool for an operator. Besides these more pressing onboarding improvements, we continue to develop a first-class platform for casino operators, and one that needs to be resilient and scalable. Operators must be able to run their casinos, configure their own promotions, manage the content of their websites, choose which games to offer and select wagering limits which align with their profile and commercial strategy. We are also working on repackaging our games in a more efficient way that will allow us to introduce operator specific configurations and to deploy games faster, without impacting the rest of the platform. Our partnership with RakeTheRake remains the top priority, and from a product perspective it makes sense that we launch our first partner website when both parties feel that we have an appealing set of features required for success. The launch of RakeTheRake’s blockchain casino will be the next step in building up our roster of casino licensees, and while we’ll be launching with a much-improved platform, the additional insights an external partner can offer will be very useful for later developments. We are, as mentioned, continuing talks with Malta and working towards the necessary features that will make the FunFair platform compliant not only with the MGA requirements but other regulators too. I’ll leave other members of the team to delve into more details on the regulatory side in a later edition of this blog. The FunFair platform represents a big shift in the way that casino and player relations now operate without trust. The implications of this means that the casino doesn’t have custody of player funds, and all the current logic and regulation around AML, KYC and responsible gaming does not apply directly and need an updated viewpoint. Our goal is to build a seamless experience where our players don’t have to understand the underlying technology and its complexity, but can enjoy the best possible gambling experience. While we may have more crypto-savvy players in the early days, the goal is that any player that wants to play online is able to enjoy our games. This is far from simple but we have lofty ambitions and we see it as truly achievable.